Today I have a somewhat different flavour of fantasy for you. I better stop because the list keeps going and we need to get to her art. Below is a sampling of Benita’s work. Each image links back to the originating gallery. Enjoy! Benita’s style is classic and beautiful and very sensual. The atmospheric tones and her effective use of light and detail create settings that are exquisite and highly unique. I think she is a master at painting detail. Just take the last picture above, for example, and study the girl’s upheld arm. Notice the curve of her hand and the bones in her wrist, the fine nails and faint light glowing between her fingers. You can find this level of detail in all Benita’s paintings, but it’s done in such a matter of fact way, you need to wait for your eyes to settle when viewing any of her work. I hope you enjoyed today’s post. 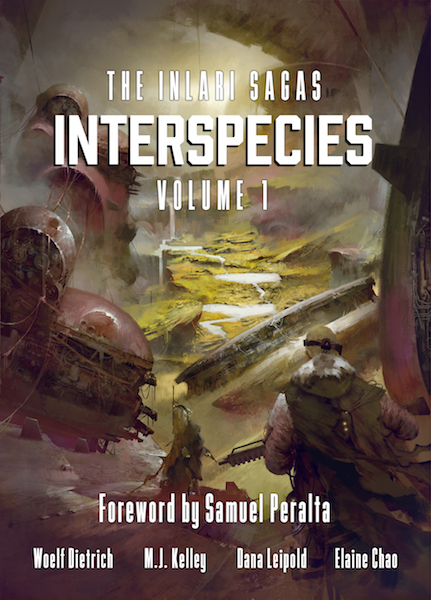 Remember to check out Kōsa Press’ blog for this week’s Art of Science Fiction. This is an amazing artist. I like her tones, the palette of colours she uses. They have a dreamlike quality to them. Very different, yeah. I’m happy you like it.